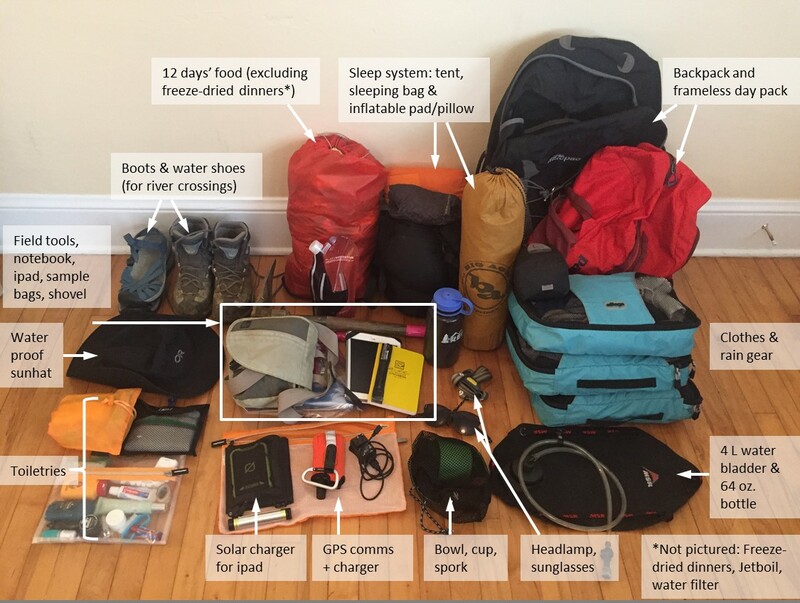 Inspired by a post on Lifehacker on what your average geologist carries in their rucksack/backpack, we’ve put together a few blog posts showcasing what a range of our EGU members carry in their bags whilst in the field! What was the aim of the research? : Glacier Peak is an ice-clad stratovolcano in Washington State, USA. Even though it is the second most explosive volcano in the Cascade Range (behind Mount St. Helens), it is so remote that most people haven’t even heard of it. Unlike Mount St. Helens, Hood or Rainier, the volcano can’t be seen from any of the major cities in the Pacific Northwest. 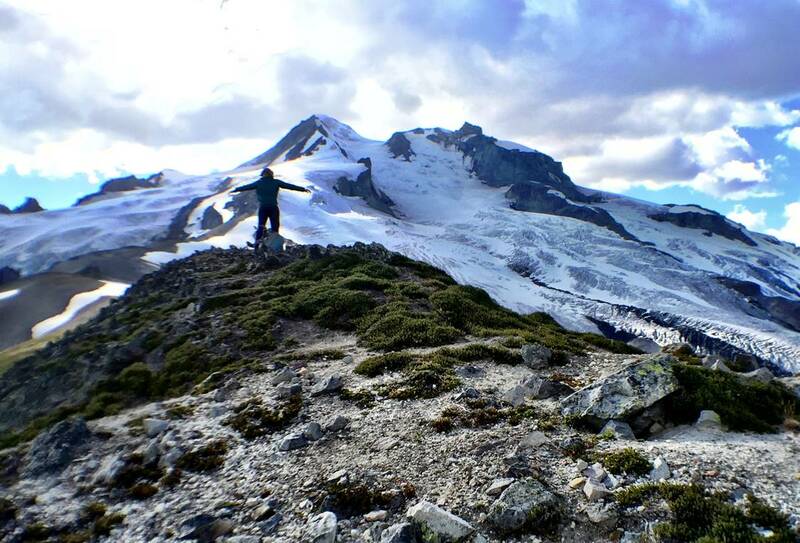 This summer, we spent 12 days backpacking through the Glacier Peak Wilderness area to investigate the volcano’s eruptive history. One specific aim was to document the deposits from two large, explosive eruptions that occurred about 13.5 thousand years ago. These eruptions transported volcanic ash all the way out to the east coast of the USA, and likely beyond. But the detailed story of what really happened during those eruptions—and why they occurred in the first place—is best recorded in the thick deposits close to the volcano. Getting to these sites high on Glacier Peak meant backpacking to about 7,000 ft [over 2000 m ] elevation through dense forest. Roughly half the time we would set up a base camp and coordinate day hikes for the mapping and stratigraphic work. Other times we would traverse with our gear to cover more ground. That made the backpack situation pretty crucial. During last year’s fieldwork my backpack was way too heavy (maybe ~40 pounds? 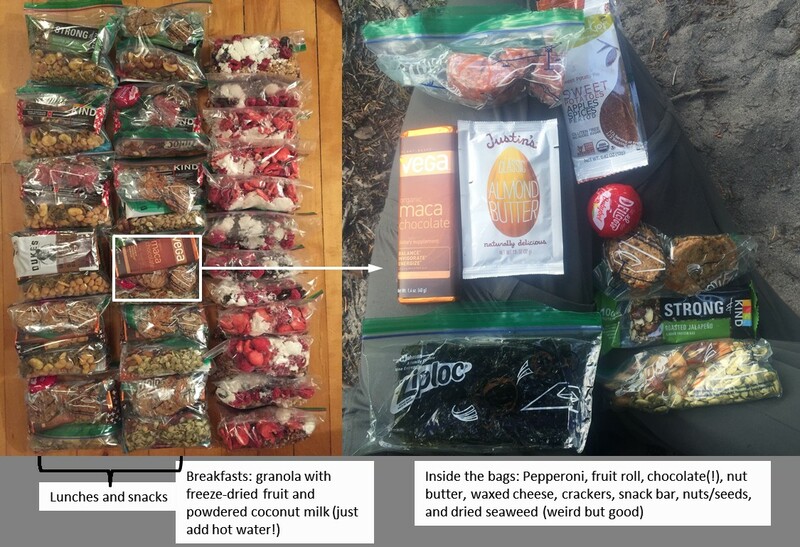 ), so this time I was committed to slimming it all down, without sacrificing the essentials (e.g., coffee and chocolate…). This year my base weight was ~8 pounds lighter, which made a huge difference. The one item I couldn’t live without: Cold-weather down sleeping bag (rated to -16degC). A close runner-up would be my 1944 US Army entrenching shovel. It’s vintage and ridiculously heavy, but nothing does a better job of chopping climbing steps into steep tephra outcrops just when you need it.